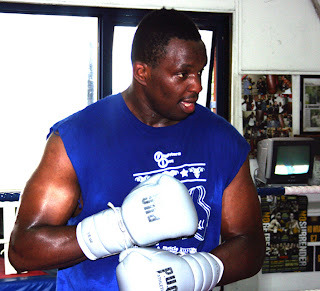 Another British Heavyweight grabs the headlines for the wrong reasons, yesterday it was announced that Dillian Whyte has tested positive for methylhexaneamine. Whyte was said to be 'shocked' by the discovery, and he denies intentionally taking the banned substance, but that's what they all say. I'm not saying I don't believe him, but Andre Berto, Lamont Peterson, Antonio Tarver and Enzo Maccarinelli all said the same thing about their failed drugs test. It's a shame because I was a big fan of Whyte, and he looks like he has a lot of potential, but with this news coming to light, you have to question how good he really is. If his performances suddenly start to look worse in the ring, we'll know why. Whyte will, and should definitely be banned, but it's just a matter of how long for. Six months to a year seems about right. This does also mean that his fight against 'Big' John McDermott is off, it's ironic because McDermott fought, and beat Larry Olubamiwo in 2010. Olubamiwo has been banned from boxing for several years for failing a drugs test. Whyte announced on Twitter that Sam Sexton will instead take the fight. I have to say, McDermott Vs Sexton is a very good replacement fight. Both are former David Price opponents, and the two will fight on the under-card of Price/Skelton. McDermott/Sexton is a 50-50 fight, and one neither can afford to lose for the sake of their career's at British level and beyond. What's your take on Dillian Whyte failing a drugs test, and John McDermott Vs Sam Sexton? ?